Designer Julius Tarng brings back to our attention a niche of handsets that seemed forgotten: the modular phones. 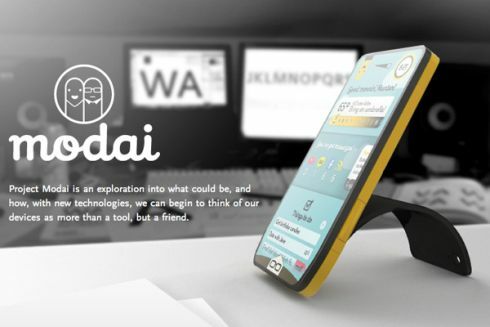 Meet the Modai, a modular handset that aims at turning your smartphone into your best friend. This companion device is inspired by human behavious and designed to keep you attached to it both physically and emotionally. 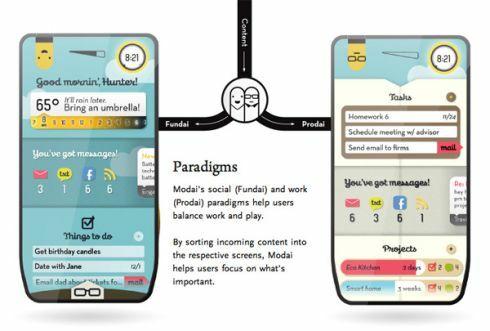 Modai has a social side called Fundai and work side called Prodai, both being paradigms that help the user fit both work and play in their schedule. These paradigms sort incoming content into special screens and stay true to their purpose, so it’s all about work, scheduling, meetings and projects in Prodai and all about Facebook, weather, birthdays, dates and texting with Fundai. 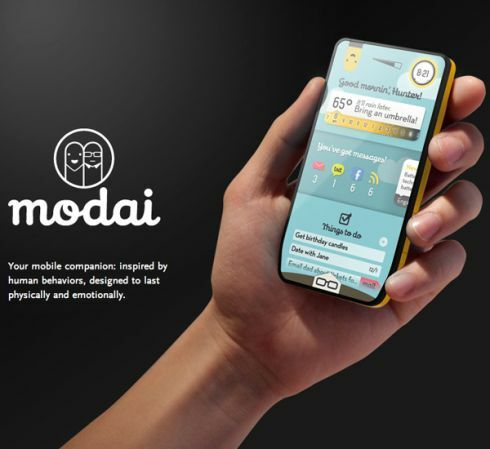 Modai also has a special avatar that represents your mood and it can also recommend you stuff to do when you’re in a certain area of the town. For example, it may suggest you a bus schedule, lunch specials, nearby friends on the map and more. 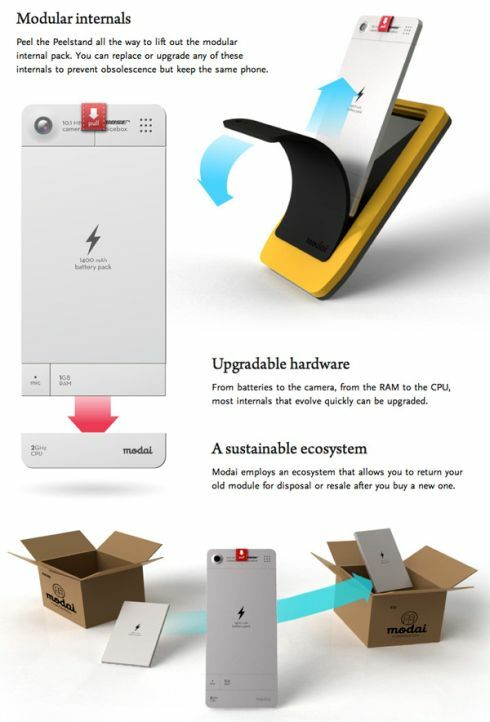 The Modai phone keeps being your friend and greets you in the morning, while keeping silent at night and only showing you the weather widget of special basic UI traits, like the sleep cycle and special alarm. 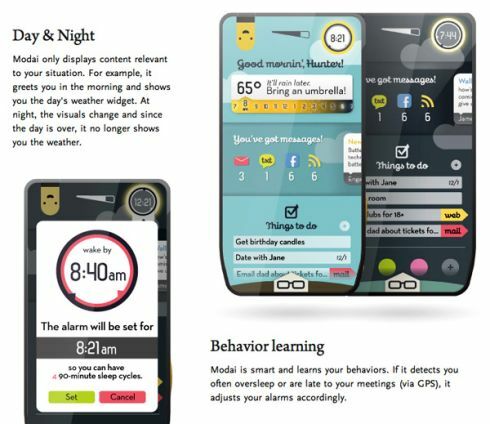 The handset is also able to adapt, so if it senses you overslept, it will create a faster route to work using its GPS. Of course, the modular side is also present here, courtesy of upgradable hardware, including batteries, camera, RAM, CPU and more, all of them inserted into a special Peelstand case with muscle wire, that moves on its own. Catchy, right?